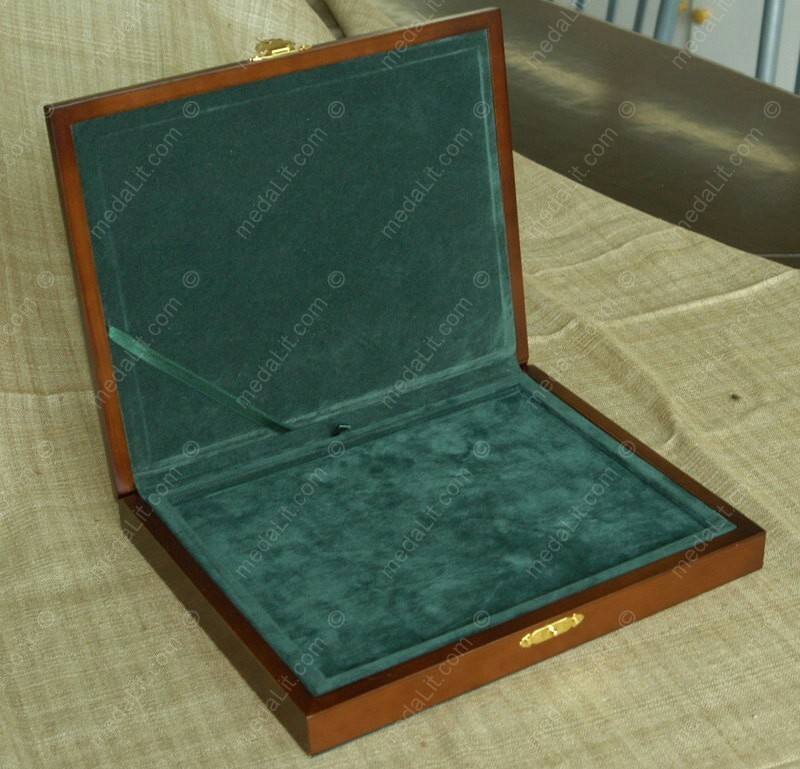 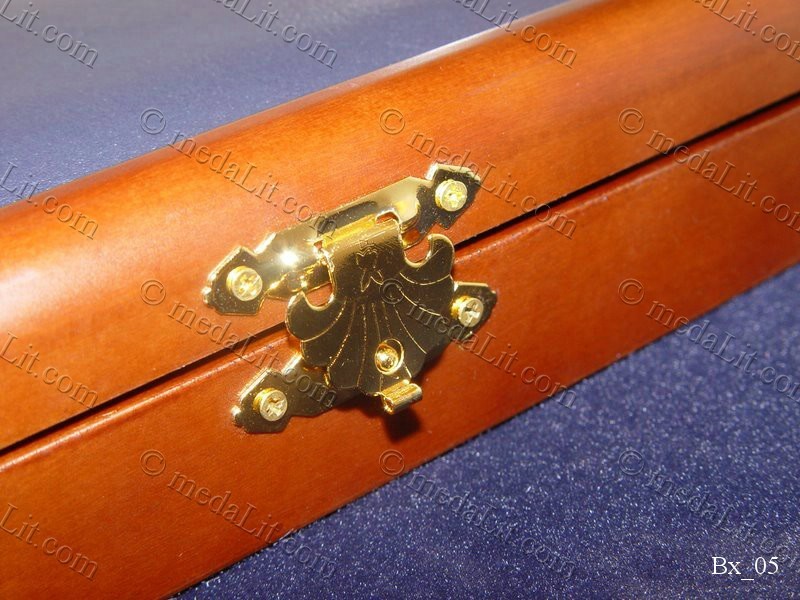 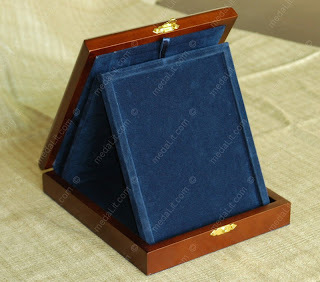 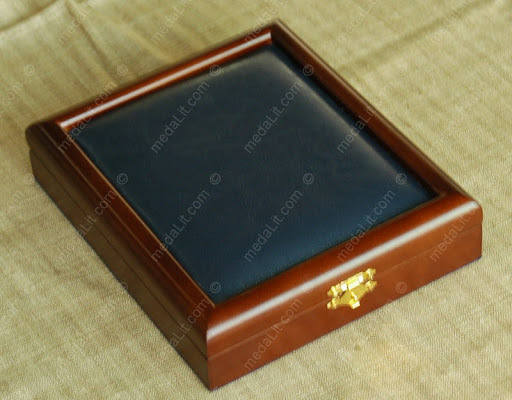 Our luxury plaque boxes are used with many plaque types that we produce: The plaque is mounted on a wooden stand covered with velvet, it is treasured in a luxury wooden box with interior covered with the same velvet color. 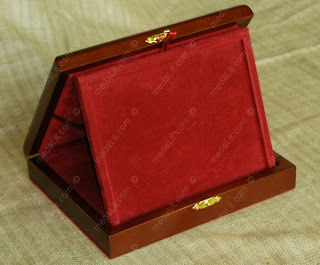 Available colors for the velvet are: dark blue, dark red or dark green. 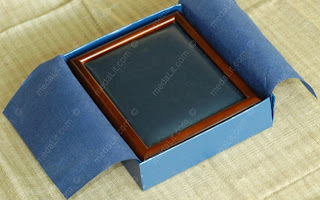 The color of the wood frame of the box is vengé (very dark brown).